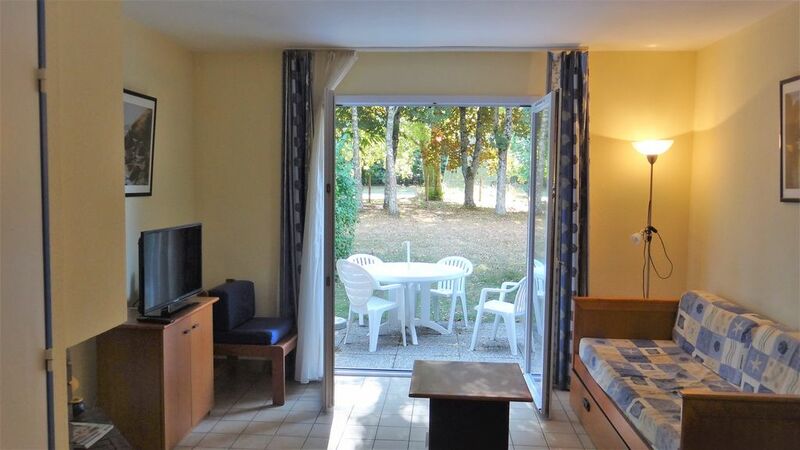 Cottage on the edge of the golf course of Saint Laurent 44 m2 on 2 levels. Private terrace lawn on the back with table, chairs and parasol. Ground floor: living room with a pull-out bed 2 places, TV and WIFI + fully equipped kitchen refrigerator, dishwasher, coffee maker, cookware, crockery and cutlery + shower room and WC + storage room outside. Floor: 2 bedrooms with 2 beds 90 * 190 each with pillows and blankets + bathroom and toilet. Bed linen may be provided extra. In a shaded park with swimming pool 50 m, children's playground and various facilities. 1 reserved parking space.